Shutter Island is a 2010 American neo-noir psychological thriller film directed by Martin Scorsese and written by Laeta Kalogridis, based on Dennis Lehane's 2003 novel of the same name. Leonardo DiCaprio stars as U.S. Marshal Edward "Teddy" Daniels, Mark Ruffalo plays his partner officer, Ben Kingsley is the facility's lead psychiatrist, and Michelle Williams is Daniels' wife. Released on February 19, 2010, the film received generally favorable reviews from critics, was chosen by National Board of Review as one of the top ten films of 2010. If you're looking for suspense titles similar to Shutter Island, check out these suggestions that revolve around forgetting, and sometimes remembering, in mind-altering environments. One night after an evening out, Jason Dessen, a forty-year-old physics professor living with his wife and son in Chicago, is kidnapped at gunpoint by a masked man, driven to an abandoned industrial site and injected with a powerful drug. As he wakes, a man Jason's never met smiles down at him and says, "Welcome back, my friend." But this life is not the one he knows. The mentally ill patients in Beechway High Secure Unit are highly suggestible. A hallucination can spread like a virus. When unexplained power cuts lead to a series of horrifying incidents, fear spreads from the inmates to the staff. Generally considered the first English sensation novel, The Woman in White features the remarkable heroine Marian Halcombe and her sleuthing partner, drawing master Walter Hartright, pitted against the diabolical team of Count Fosco and Sir Percival Glyde. Murder, intrigue, madness, and mistaken identity are all key components in this psychological thriller set in Victorian England. 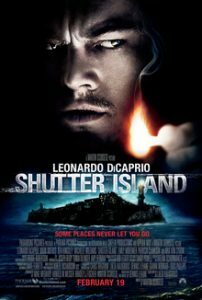 View more suggestions for Shutter Island.